Let's face it, I live from meal to meal…. I have a love/hate relationship with food. I'm a fat girl. I want to eat every meal like it's my last meal. I must know what I'll be eating for the next week or I get nervous. A lot of my Cruising Angst has been about FOOD! I have always been a stockpiler of food. My pantry was full of ingredients that I may or may not EVER use. Once in a while, I would go through and get rid of all of the expired stuff… leaving room for NEW stuff! And… tossing a whole lot of money into the trash! I've been working on this one for some time, and while not cured… I'm better. Now here we are living on a sailboat and contemplating "provisioning". Dun dun dun duuuun… What? I get to stockpile again!? COOL! I am sure that most new Cruisers struggle with this issue. How much to take along when we head East... Food is a very personal choice and for each person, it is different. For myself, I feel that I need to have a basic stock aboard to feel "safe". Nutty I know but it is what it is. But here's the thing… The Texas Gulf coast is really not a "Cruiser Mecca". There are few cruising guides and the ones out there are out of date. I'll let you know if Active Captain is any help. So… the first part of our journey will perhaps be the most difficult. There won't be scads of other Cruisers around and there may not be plentiful facilities close by with Cruiser friendly perks. We may well appreciate the food we have aboard, even if we DO get tired of eating what we brought. My food preferences have changed as I've grown older. I don't mean the "dying tastebuds which allow me to now eat broccoli" kind of change… I mean that my horizons have widened. Its a funny thing. I'm still a bit skittish about some things. 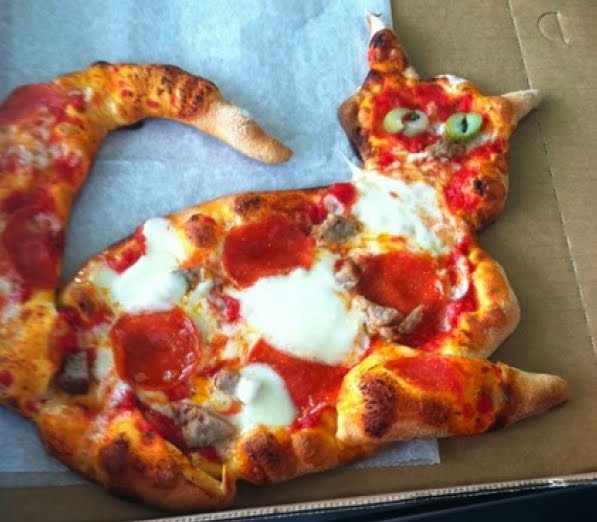 I would rather not eat venison and I'll NEVER eat CAT! But traveling has opened my mind to the fact that other cultures eat things that "we" don't. Anyone who has traveled at all will know what I mean. But in traveling, I've found many lovely foods that I would otherwise have missed. The other day I went into a convenience store while Bruce gassed up the car. I needed a snack. I found JAMAICAN PATTIES for sale there! I was taken immediately back to the trip the girls and I took one summer when Bruce went to Kansas. Not to be left home doing nothing… we jetted off for a fun filled week, just my daughters and I. We found Jamaica to be just a little scary for unescorted females, but managed to have a blast in spite of it. We fell in love with one of their "fast food" spots, Mother's Patties. We LOVED them and ate there several times before we left. I have even made them a couple of times at home and let me tell you, they're a lot of work! I think I feel another batch of Patties comin' on… Ahhhh Jamaica! Every trip we've taken has brought me a fond new food memory. BVI's Cane Garden Bay will be forever associated with the scrumptious Curried Calamari smothered in the most delicious green curry sauce and crowded with sautéed onions… mmmmm! Bahamas is Conch Fritters! We ate them everywhere and they were all a little different. Maybe some day I'll make my own! Hawaii brought us fish tacos. Fish of every kind. Oh, and the Mai Tai challenge! Everywhere I went I ordered a Mai Tai and never got the same drink twice! Then there was Grenada, who holds the title of "most strange" food. We were there with a group of four couples and visited the restaurant at True Blue Bay Marina for breakfast. Myself and one other in our group decided to throw caution to the winds and order…. 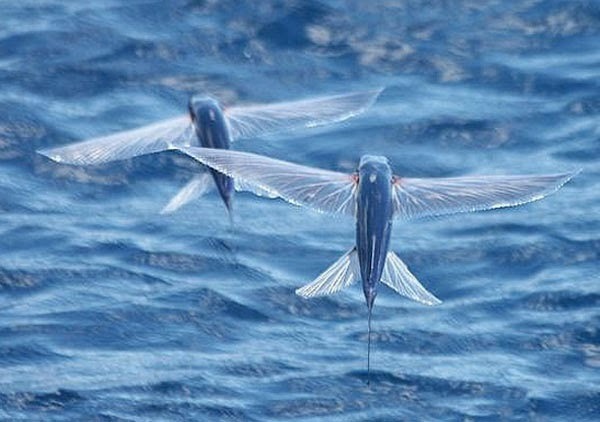 wait for it… FLYING FISH! For BREAKFAST!!! Yes, I have eaten Flying Fish for breakfast. They were very salty and crunchy… Glad I can say "I've done it" so I don't have to do it AGAIN! But it is a memory I'll hold dear forever. I can't wait to try the many new and strange foods we'll encounter along our way. Eating is a necessity, but it is also a universal pleasure that no human can forego. We have to eat! It might as well be fun! Maybe we will be one of those cruising couples throwing out a bunch of nasty looking tin cans in a year or two. Maybe we'll be glad we had all that stuff and eat every last bit of what we have socked away in the bowels of the boat. But for sure, there will be many more food memories to punctuate our travels and I can't WAIT for the next new thing! Great post! I don't like to go anywhere for a length of time without some food. It makes me feel safe too. I've got a stock of snacks at work because I hate being hungry. I also hate to cook, so I don't think we'll have too much on our 30 footer ... not much storage space for waste. I imagine a bunch of canned foods and convenient snacks, but that's about it. Like you mentioned, enjoying the local cuisine is part of the experience! One of the best meals we had in Hawaii was in the front yard of a Hawaiian family's home ... jerk chicken cooked on their grill! While I was working I would say that I didn't like to cook. I've already rediscovered that I get instant gratification from creating a yummy meal and triumph over the challenge of using ingredients I have on hand. I look forward to learning new recipes and trying new things. The time to spend in the galley is a new luxury. Maybe you will learn to enjoy a bit of cooking once you leave work and have more time to enjoy new hobbies. It also makes for a happy husband! Everyone has to start somewhere with their own sailing story. You seem to be on the right track with your wooden sailboat. That's where my husband started so long ago and look at us now... He still sits on the deck for sundowners and marvels. He says he never dreamed that he would own a boat like this and be preparing to sail away. Welcome aboard!